On 14th December I wrote about a deal that expired the same day. It was about extra Clubcard points when buying BT telephones and LEGO fun packs – both deals didn’t have much more in common than the fact that they both expired at midnight and I found out about them last minute. 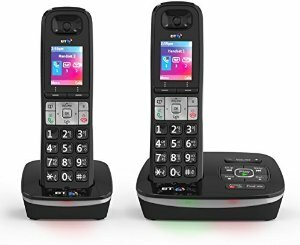 Good news for those who wanted to buy a new telephone but missed the 300 extra Clubcard points: After checking the Tesco Direct website again, I came across the BT8500 twin cordless telephone and saw that the 300 extra Clubcard points promotion had been extended until 27th December. I also did a quick Amazon check and unless you go for the refurbished telephone (£35), you pay the same price as at Tesco (£47). Unfortunately the LEGO fun packs I also covered on the 14th do not come with extra points any longer. ‘Click and Collect’ orders for the phones above can be made until 21st December for guaranteed delivery before Christmas. Good spot, thanks for posting!